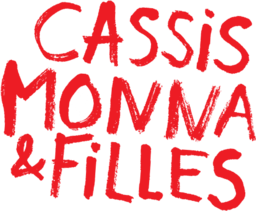 Cassis Monna & filles has been synonymous with passion and innovation since 1992. The compagny has mastered the art of transforming black currants — harvested on Île d’Orléans — into products of the highest quality, including a Crème de Cassis that has obtained in 2016 the Great Gold Medal in addition to being consecrated Revelation of the year in the international competition Spirits Selection of the Mondial de Bruxelles. A native of Southern France and fourth-generation liquoriste, Bernard Monna is the first to produce black currant wines and Crème de Cassis here in Québec. He first arrived on Île d'Orléans in the early 70s and quickly settled into the area that was to become his home. The spot boasted the ideal microclimate for growing black currant - damp and well-drained soil protected from the spring frost due to its proximity to the river. Cassis Monna & Filles currently cultivates 16 hectares of land and produces over 40,000 bottles per year - numbers that are sure to continue to grow. Heir to a long-standing family tradition, Bernard Monna is proud to be passing down his knowledge to his two daughters, Catherine and Anne, who will ensure that the tradition is carried on for years to come.